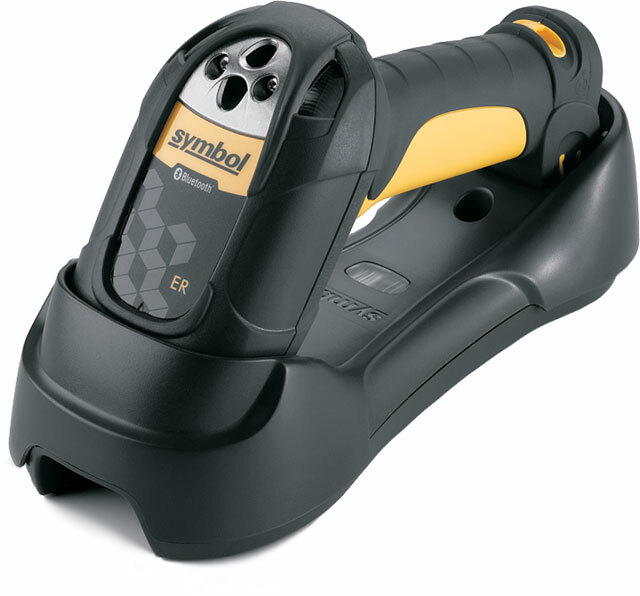 Symbol LS3578-ER Rugged Barcode Scanner: Scan all 1D barcodes from practically anywhere with onboard Bluetooth® capability. The LS3578-ER rugged cordless scanner reads labels as far away as 45 feet and as close as .25 inches, delivering the widest working range of any rugged, handheld scanner. Designed for use in the yard, warehouse, distribution center, manufacturing plant and other harsh environments, this scanner withstands multiple drops onto concrete and has IP65-rated sealing for protection against the elements.